Subquark Hax went nuts with a photo set of the entire estate! bugged by being shy of 1,000 images in flickr, he ended up taking 214 pics!!! 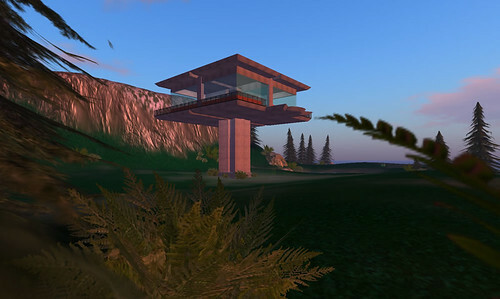 the first of a series of custom-made homes created by iliveiSL.com inspired by an episode of Extreme Homes on HGTV. it’s a very simple home that comes free with the land, or maybe purchased for $7995 L.
retroHome_009, originally uploaded by iliveiSL.com.